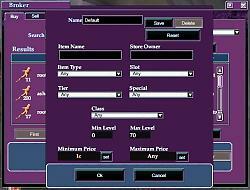 Right click on items in the 'Sell' tab and choose 'Examine' to list same/similar items in the 'Buy' Tab. To install, you need Fetish Nightfall V6.4. Unzip this file, Copy and Paste all, click YES to replace. This is a partial patch for Fetish Nightfall by Zonx, for LU#24. You need to already have Fetish Nightfall in order for this patch to work. Unzip, then copy and paste all into your Fetish folder, click YES to replace. All of the Fetish downloads by Zonx have been moved to the Featured Projects Section. Also, Zonx has uploaded two new Broker windows to choose from, one is with the full patch, the other is an optional patch. The full patch is posted for downloads, you should go ahead and download the new Version6.5 to fully update your UI. 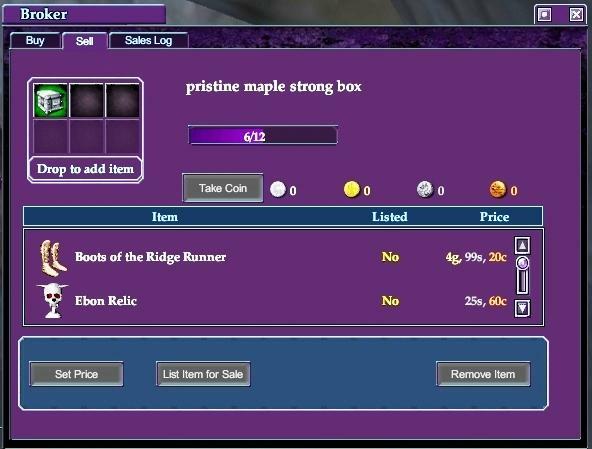 What I've noticed although is ... the Item when highlighted - it doesn't show the 'true price' on the bottom - I get an icon of the item on bottom, but no price. I have to figure roughly what the price is based off what is in the main window minus broker mark up. Is there a way to correct? 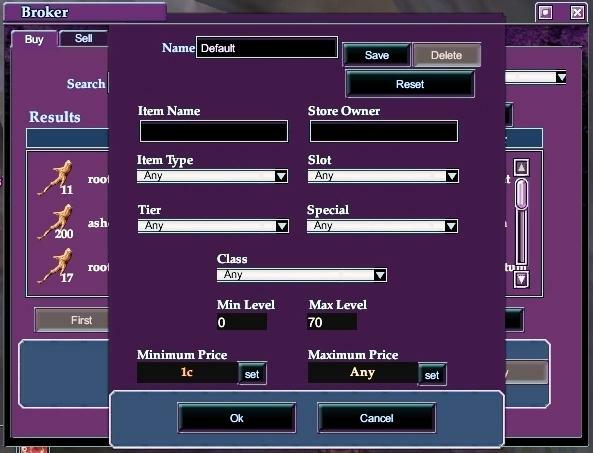 Kerianah, the default UI has a find button, you can just copy it over. nice work i love this ui! 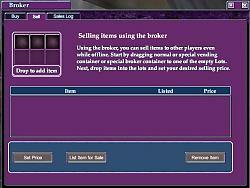 but on broker window i got just a black window ... any hints? First is there going to be a FIND IT button for the nightfall UI? Plz say yes caus i love that button. to bad LU24 killed it. I was unable to make that button, however, it seems as the button is no longer needed. You can right click on the item in your 'Sell' page and look it up that way, I don't remember off the top of my head what the option was in the drop down you get though, srry. Right clicking on the item in the 'Sell' page and choosing to look it up, flips the tabs over to the search page and lists the items the same way the FindIt button Zonx added did. 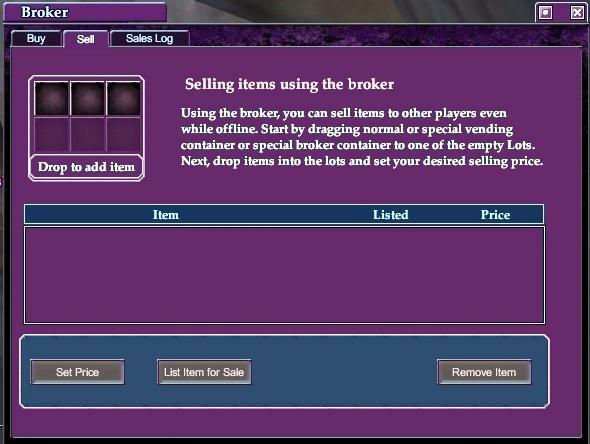 Second will there be or is there a way to make the broker window biger then 3 items down ? Caus right now you can only look at 3 items and then you need to scrol down. I can see if I can rearrange the window some to allow for more listings, but I'm sure Zonx will have the full patch by then. I'll go ahead and upload what I change though. Other then that WOW good work and keep it up plz. I love this UI. You are terrific! Much appreciated!